It’s an early Saturday morning, and people are flooding into the Duluth Public Library, snatching up the last open computer slots. With only about 15 computers available, it’s a fight for a quick 30-minute session. 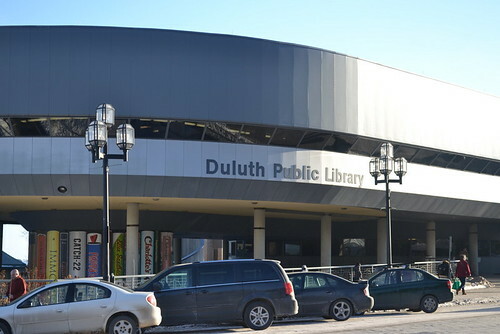 Duluth has three public libraries that offer free computer access with a library card membership, which is also free. Yet, getting access to the Internet without owning a personal computer can be difficult, since the libraries only have a few computers available with enforced time restrictions. According to the Census Bureau's “Public Library Use of the Internet: 2010,” there is an average of 28 workstations with general-purpose computers in an urban library setting in the United States. But across all three Duluth library locations, there are only about 35 workstations available for access, which can only be accessed for two hours a day – four 30-minute sessions per person. Laurie Slattengren, a Duluth Public Library employee, has noticed many regulars come into the library over the years who may not have Internet access at home. Many of the people she sees come on a daily basis. According to Typical Daily Internet Activities of Adult Internet Users: 2011, from the United States Census Bureau, the top three uses of the Internet are sending and reading emails, using a search engine to find information and social networking. Gary Lange, a regular at the Duluth Public Library, uses his time to social network. Slattengren said the library is aware of the growing need for Internet access and is doing everything possible to assist the public with those needs. 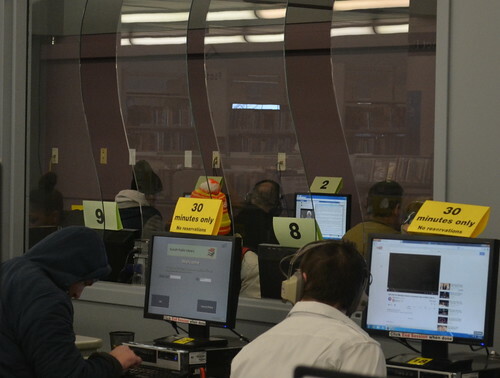 When patrons need more time to do things such as research or find job listings, the library provides alternatives for them when all of the computers are booked. The library is continuing to find more solutions that support the growing popularity of free Internet access. Libraries across the nation are now offering expertise and digital literacy courses to help beginners prosper in this new digital era. Although many libraries have drastically expanded their Internet access, there is no guarantee that the digital divide will decrease or plateau in the future. Feb 28 Honor Flight Northland brings local veterans to Washington, D.C.